It seems like this morning’s Nintendo Direct was largely devoted to games that Japan has known about for a long time. 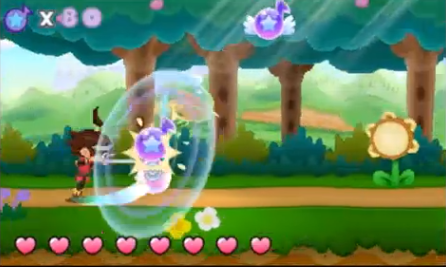 Iwata devoted segments to popular games like New Super Mario Bros 2, Culdcept, the soccer game shown in a handful of Nintendo Directs, Dragon Quest X, Bravely Default: Flying Fairy, Project X Zone, Animal Crossing 3DS, and Paper Mario: Sticker Star. However, there was one new announcement sure to capture the attention of longtime fans! 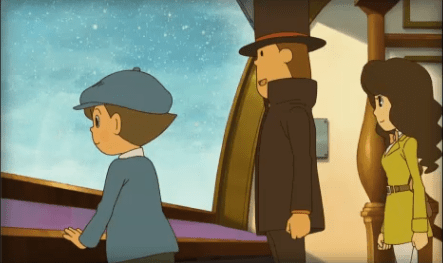 Professor Layton Chobunmei to A no Isan (3DS) is due out in 2013, and marks the final adventure for Professor Layton. More information is soon to be available on the teaser site for the game here. 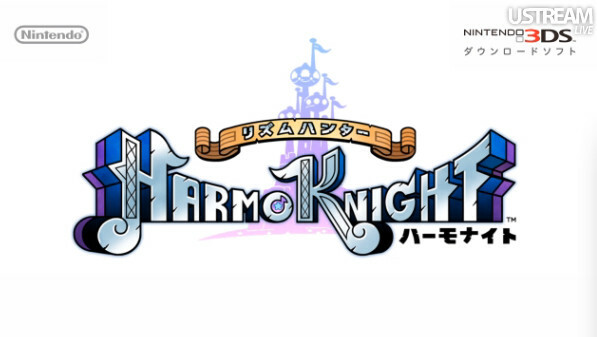 Also noteworthy: Harmoknight from Gamefreak. 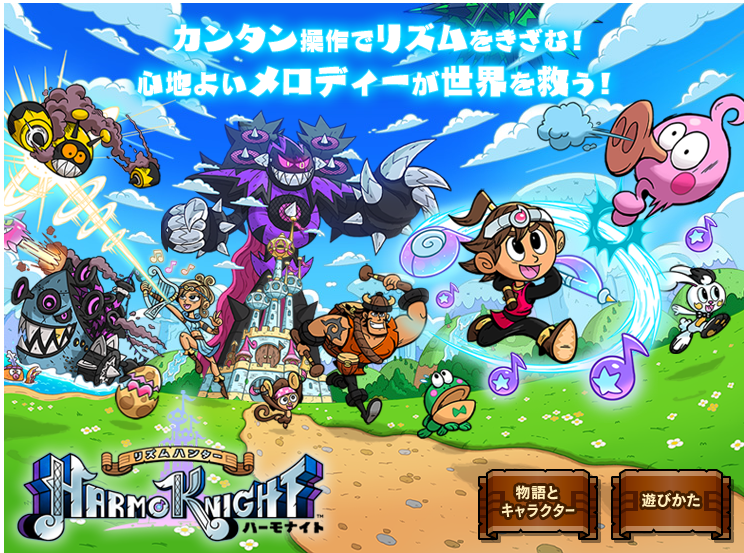 It seems to be a cross between a Rhythm Game and an Action RPG. It looks pretty ambitious! We won’t be waiting long to hear more about this game, as it releases in Japan on September 5th of this year! 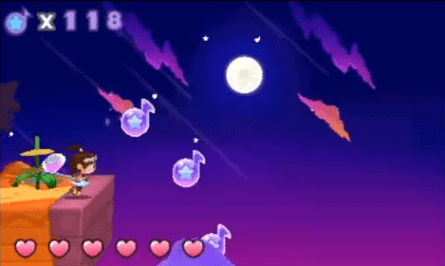 An Iwata Asks for this game is set to release soon! If anyone happens to own a Japanese 3DS, the demo for this game is currently available on the 3DS eShop, along with a handful of others! 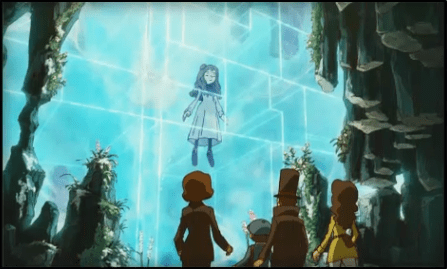 I’m not sure if the game is likely to come here or not, but we can certainly add it to our list of hopefuls like Bravely Default and Project X Zone. 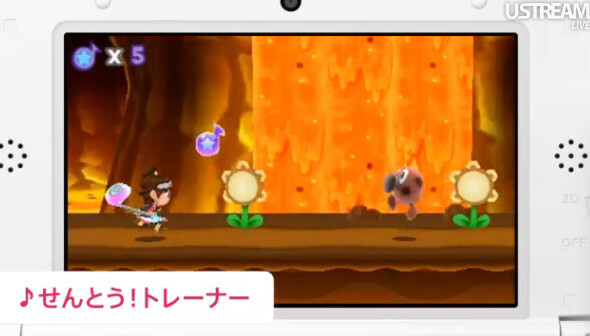 Friend Collection 3DS was announced as well. This is a 3DS sequel to the DS’s Tomodachi Collection. Check out the official site for more information / footage of this game! Something else worth noting: Japan is getting a sequel to Denpa Ningen RPG. 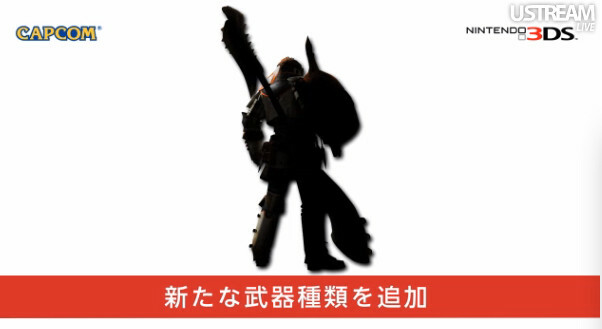 And finally, looks like we have a silhouette for a new weapon from Monster Hunter 4. Capcom will share more information soon! There were plenty of other games (new and old) featured on this morning’s presentation. My goal was to highlight the games I thought you’d all be the most excited for. If you’re all interested, all trailers and other assets can be viewed at the OFFICIAL SITE. Nintendo of Japan has uploaded the entire presentation to Youtube. You can view it below! Previous Post:More The World Ends With You Projects Teased?